Our company is one of the largest buyers of Ambergris by volume and price in New Zealand. We strongly support the protection of the environment and only buy beach collected Ambergris. We have been in business for over 15 years and have developed markets all over the world to sell Ambergris. We have solid relationships with many existing buyers and sellers. 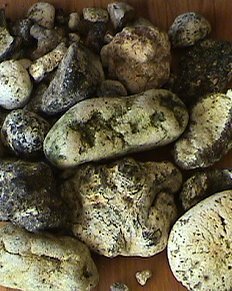 We obtain premium prices for our Ambergris which allows us to offer the best price possible for your Ambergris. If you are currently selling Ambergris or have found some Ambergris we suggest that you refer to our price indication page or contact us to discuss pricing. If you would like help in identifying a piece of Ambergris please refer to our identification page. If you would like to contact us about whatever you have, please refer to our contact page.